Insurers, business and tech companies are collaborating to deliver new innovative solutions that can address the challenges that the growing population of 60+ seniors face. Insurers would do well to position themselves to add value in the silver-age ecosystems that are forming. 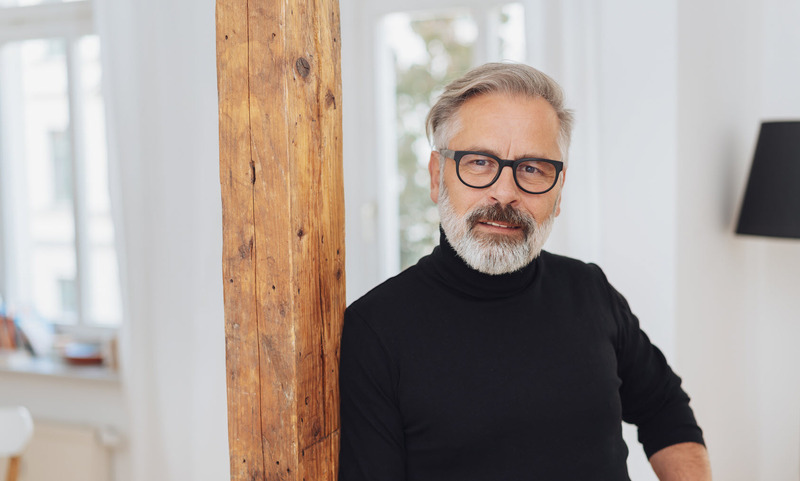 Silver-tech ecosystems are forming quickly as more companies recognise the opportunity to create solutions to address challenges faced by the growing aged population that make up the silver economy. 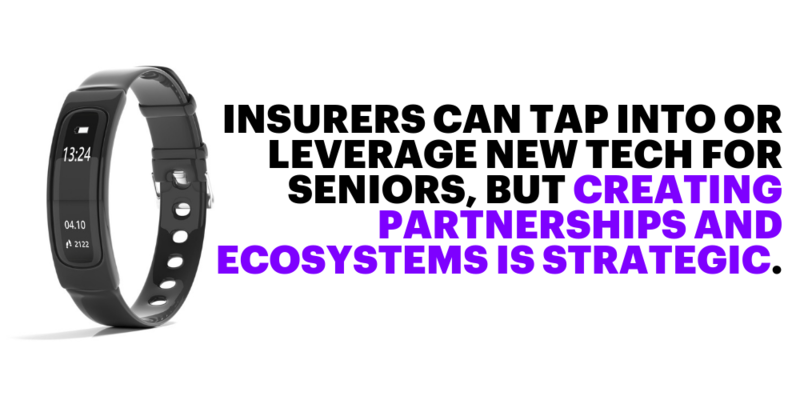 Insurers can tap into or leverage these technologies, but there is also opportunity to create strategic partnerships and begin to position themselves within these ecosystems. These ecosystems encompass narrow- and more broadly focussed solution segments. Glucose monitoring is big, given the extent of diabetes and its severe impacts on the elderly. Fitbit is partnering with Dexcom, whose underskin sensors will track users’ glucose levels and send the data to their Fitbit Iconic smartwatch every five minutes. The sensors currently send data to users’ smartphones. Fitbit also plans to use the watch to monitor sleep apnea. Reemo Health, a smartwatch to support elderly independence, offers an example: Reemo collaborates with Samsung, security giant ADT and Teradata. It runs its Reemo platform on a Samsung Gear smartwatch to monitor heart rate and location, and enable push-button 911 calls. It provides a personal emergency response system for Reemo users through ADT, using Teradata’s analytics technology to look for correlations in the data to provide insight into users’ overall health. Other data and tech companies are leveraging opportunities to fill bigger, high-level gaps, creating devices, functionality, analytics and technology platforms that insurers and other service providers can simply tap into to address the challenges their customers within the growing population of older people face. The partnerships LifeQ is creating with leading device manufacturers like Garmin, TomTom and Striiv offer an example. Health informatics firm LifeQ’s strategy is to use its understanding of human physiology and its computational biology capabilities to develop models and algorithms that add value to applications and wearables. LifeQ is collaborating with wearables company Striiv, for example, to develop a scalable low-friction and personalised health information platform for the corporate wellness, insurance, care provider and pharmaceutical industries. Healthcare companies are already utilising Striiv’s custom sensor and wearable technology to reduce claims, drive medication adherence and augment traditional drug therapies. Through their partnership, LifeQ and Striiv hope to accelerate the adoption biometric and behavioural data to drive better outcomes and at scale. They are not alone. There are a number of emerging platforms being created to provide integration across myriad technologies and ecosystems to deliver tailored silver services. Finland’s over-60s make up more than 27 percent of the population. Wellmo, part of the Nokia Wellness business, is a cloud-based mobile platform for iOS, Android and Windows phones that also supports more than 100 health devices. It allows insurance companies to effectively leverage a wide range of third-party apps, international and local health service partners as well as assets they already have built for themselves. Telcos are also taking an interest as Internet of Things (IoT) traffic from myriad devices increases on their networks. AT&T, for example, is working with many health device manufacturers and technology providers to connect their solutions to the IoT to deliver care. Clairvoyant Networks, for example, uses AT&T’s networks for its new line of caregiver solutions. Called Theora Care, these allow people to locate and connect with loved ones suffering from dementia or Alzheimers, and help those experiencing cognitive issues to live independently longer. Join me next week as I take a look at the insurers that are already active in this market, and explore the solution features that the silver economy prizes.